For the first few parts of this series of articles, I talked about a trope in anime that I call “the token foreigner”, gave examples of said characters, and talked about subsections of the trope in sports anime and in cases where the “foreigner” isn’t foreign. In an attempt to find anime that do non-Japanese characters justice, I have been talking about specific anime in a similar pattern as my regular review articles, but this time through the lens of how the anime represents foreign characters. Here we have come to our final example, Cyborg 009. It being a show with several incarnations, I had a variety of opening and ending sequences to choose from. So I decided on this credits sequence that showcases artwork from the comic from which the show came. Cyborg 009 was a Japanese science fiction comic originally written in 1964 by influential Japanese media figure, Shotaro Ishinomori. It was one of Japan’s first series that featured a super-powered hero team and has since had several television and movie adaptations, the most recent being a trilogy of movies made in 2016. The series follows a group of nine people from around the world who were either tricked or kidnapped by the evil “Black Ghost” organization and made into cyborgs meant to be used as weapons of war. However, the nine escape together and end up seeking to stop Black Ghost in its attempts to start another world war. Before I get to talking about the story itself, there are two important things to know about the series’ creator, Shotaro Ishinomori. The first is that he got his start working under Osamu Tezuka, the so-called “God of manga” and creator of Japan’s very first anime, Astro Boy. The second is that in addition to being an influential manga artist, Ishinomori would go onto create the very first Super Sentai series, known better in the western world as Power Rangers. Both of these things can be seen in Cyborg 009 – you have the art style, commentary on discrimination, and anti-war sentiments commonly found in Tezuka’s works, like Astro Boy, and you have the group of heroes that save the day (in a usually campy fashion) as seen in Power Rangers. Of course everyone must be wearing matching uniforms with elegant scarves flowing in the wind (2016 Call of Justice films). The amount of influence that Cyborg 009 and its creator had on the world of manga, anime, and tokusatsu can not be overstated. However there’s one feature of Cyborg 009 that I wish had been more influential, and that is its use and portrayal of non-Japanese characters. I’m almost cheating a bit with this series, since its foreign characters, almost can’t be considered token, as a majority of the cast in this series is not Japanese. The very nature of the series was to show that obtaining world peace and stopping the threat of a world war had to be done with a team of superheroes with each person hailing from a different nation. I include it on this list, however, because a good chunk of story takes place in Japan, and the titular Cyborg 009 is from Japan. The main nine cyborg characters in the series are largely referred to by their number in the order in which they were made – that is from 001 to 009. They have actual names, but throughout the franchise the characters largely refer to each other by their number rather than their name, except for particularly emotional or sentimental moments . Thus I will be referring to them in this way. In order of number, the characters’ are Russian (001), American (002), French (003), German (004), Native American (005), Chinese (006), British (007), African (008), and finally Japanese (009). Each of them have a different specific ability or superpower in addition to being stronger, more durable, and immune to bullets. 001 has telekinetic powers, 002 can fly, 003 has enhanced hearing and vision, 004 has weapons built in all over his body, 005 has super strength, 006 can breath fire, 007 can transform into other things and people, 008 can swim fast and can survive underwater, and 009 has super speed. Overall, the characters being from different countries mean about just as much as their powers, in that it is innate in them and describes where they are coming from, but doesn’t factor into their personalities or who they are as people. In Cyborg 009 these guys are characters, not tokens. A quick guide to the nine cyborgs (and also scientist, Gilmore) from the 2001 TV series. Before I get into detail over what I think the series does right with characters coming from different countries, I’ll list a few things it does wrong, or at least not as good. The main thing I’d have to address is the character design. 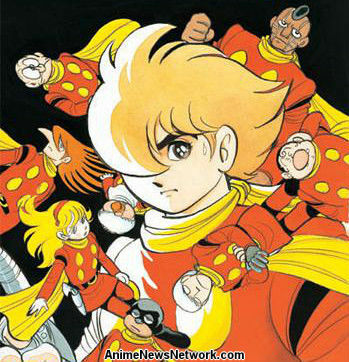 For viewers of modern anime, watching or reading Cyborg 009 would be weird. This is largely because 1960s Japanese animation was vastly different from more modern Japanese animation, in that it was a lot more cartoonish and, especially in the case of the likes of Ishinomori and his predecessor Tezuka, heavily influenced by older American cartoons . Thus the character designs are a lot more exaggerated, so you get characters with giant pointy noses (002), blank eyes (004), or that blackface thing I was talking about a few articles back (008). 008 is probably the most controversial character design in the series, though I have some similar misgivings about 005’s and 006’s visual portrayals as well. Even some of the character’s real names just seem lazy and stereotypical, like 005, who is Native American, being named “Geronimo Jr.”. Then there’s 007, who is British and whose real name is “Great Britain”. Just “Great Britain”. He’s named after the country he’s from… Yeah . Obviously there are issues here and though I would use the older animation style and the age of this series as an explanation for these decisions, they aren’t in any way a defense of them, and I would say are the main flaws in the representation of the characters. The series’ main theme is anti-war, and especially in the early manga, the main characters had a large amount of moral ambiguity. For example 009 was a childhood delinquent and our first view of him is breaking out of a juvenile detention facility. 002’s backstory involves a lot of gang violence and he is taken by Black Ghost right after he kills someone in a gang fight. Some later incarnations downplay these aspects of the characters, and the 1968 animated series is a lot more geared towards children. Yet even that series got in trouble for making too many references to nuclear wars and atomic bombs to the point where some episodes were banned by parent-teacher associations. But that’s kind of what is amazing about this series. It was originally created not even 20 years after World War II; not even a couple decades after Japan was hit by two nuclear bombs! The comic and the series that came after it remind me a lot of Star Trek, in a way, since both series were using science fiction to address real world issues and provide social commentary. They also have a similar on-the-nose message and equal amounts of camp and melodrama. I’d love to talk more about how both this series, and early anime were influenced by wartime Japan, but that’s a different article entirely. 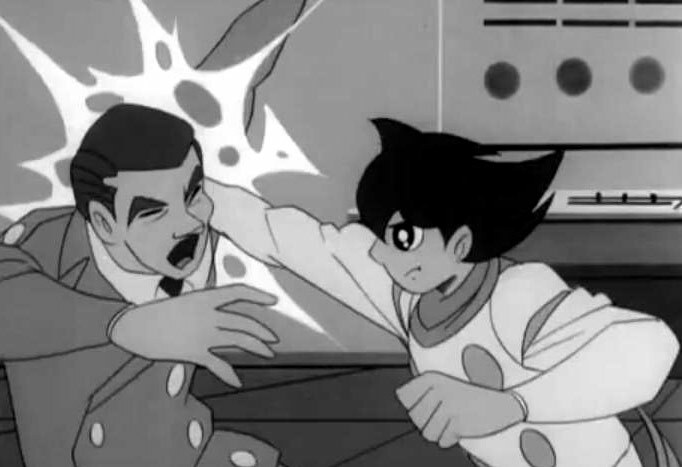 Another thing that especially the older versions of Cyborg 009 had in common with Star Trek is awkward fight scenes (1968 series). This article is about the characters. As said, my main issues with the characters in the series is that the designs can be very awkward to say the least. However, the stereotypes pretty much end there. The characters’ personalities, development, and progression is spot on and in no way linked to token stereotypes of the particular countries from which they were born. Plenty of their backstories do link to their countries of origin, but usually in a way that brings up social or political issues present in said country, thereby giving their origins a basis in reality. 005’s backstory touches on racism and the disproportional poverty experienced by Native Americans in the US. 009 also experienced similar obstacles being half-Japanese in Japan. 004 is picked up by Black Ghost after his attempt to escape over the Berlin Wall with his wife, ends in her death and in his mortal injury . 008’s backstory changes depending on the series, with the original manga making him a victim of human trafficking, and the 2001 anime involving his country being controlled by a dictator who is influenced by a foreign power and the unrest and warring resulting from that . Their personalities have more to do with their experiences or who they are as people than their country. These personalities are occasionally cookie-cutter, for instance 007 is the comic relief, 005 is the strong silent type, and 002 is the hot-head. And perhaps the most “token” character would be 003 as the token female/love interest. But even they get their moments throughout the series. 007 works as a showboating comic relief character, having been an actor before being taken by Black Ghost. 002’s combativeness makes sense since he used be part of a gang. It was a relief to see a black character like 008 who was for once NOT a goofy, comic-relief character. Instead, he’s actually one of the more calm and level-headed personalities in the gorup, and one of the few out of the nine who was familiar with combat before becoming a cyborg. Hence he’s often the one either piloting their ship or coming up with strategies for the team. And of course everyone gets their action sequences. Here we have 004 and 006 combing their powers in the 2012 movie. The series has some unique ways of addressing the character’s original culture. Some episodes or scenes have the characters visiting their home countries, and therefore showing us a bit of their life. One episode in the 2001 series that I liked, had the theme of food and how that relates to culture . It was a breather episode between a few action filled arcs and touched on what food and cooking means to each of the characters. For 006, it is a living, as he is a chef and actually teaches many of the other cyborgs about how to cook. In 004’s portion of the episode that knowledge given to him by 006, helps him survive a winter storm that threatens to starve him and a friend. 005’s arc involves how cooking reminds him of his tribe and his friends. 008’s section involves him trying to bring food to a starving village in his home country. The fact that parts of the series focuses on these small tangible pieces of culture that people could connect to in real life, shows that a lot of effort was put into the making of these series’ to be respectful to the people/countries being portrayed. In the end, the thing that connects them all to their countries and to each other, is the isolation they feel from their own nations after being turned into cyborgs, and the knowledge that none of them can truly return to their old lives. The nine of them find solace in each other since they’ve each had obstacles in their lives and they all feel that isolation as a result of the experiment they underwent. A lot of the series revolves around them coming to terms with being something not quite human anymore and adjusting to their new identity. Latching onto things like their old friends, country customs, or cooking helps them feel connected to where they came from. 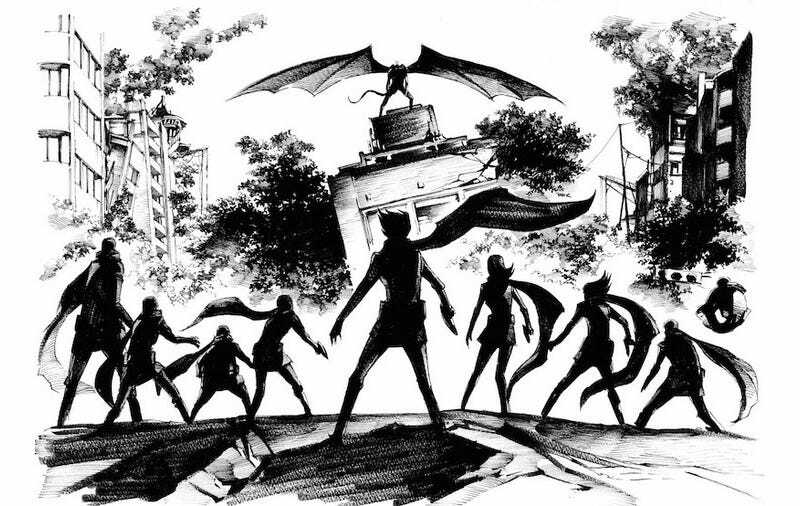 Cyborg 009 vs Devilman manga (2015). Cyborg 009‘s messages on war, discrimination, culture, and human nature all tend to be presented with a lot of camp and melodrama, and can be very on-the-nose. Similar to an old Star Trek episode, it uses science fiction to provide social commentary on the issues of the time, and issues that are, sadly, still pretty relevant today. The series isn’t perfect, and I have some issues with its pacing and art style. But it is one of the few anime to tackle culture and identity in such a way, and is certainly the most diverse anime I’ve ever seen. What I really appreciate about this is the characters’ place in Japanese pop culture as not as characters “from America” or “from China”, etc, but as superheroes. While perhaps not as well known as Power Rangers, Cyborg 009 still has a solid place in Japanese pop culture history, and it’s nice that with one anime alone nine countries are represented in a meaningful and unsuperficial way. Yet I find it kind of sad that in the nearly 60 years of anime history, it’s the 50 year old creation of Cyborg 009 that I’d have to say does it the best. To be honest, I don’t know if this is the case in English, since I have only watched/read the series in Japanese. Another thing to note is that when saying/reading the number 001, for example, is read “zero zero one” and not just “one”. It is sometimes suggested that the name “Great Britain” is a stage name or a code name since the character used to be an actor and then became a spy for the team due to his shape-shifting abilities. However, in no incarnation of the series is a “real” name given or mentioned for 007. I am happy at the more respectful attention to the designs of characters of various backgrounds in more recent incarnations of this series. However, from a purely artistic and aesthetic standpoint, I actually dislike the cell shaded look of the recent computer generated movies. I’ve never thought computer animation looked especially good in anime. In the comic, this makes more sense since it was made in the 1960s when the Berlin Wall still existed. In later incarnations of the series that were made after the Berlin Wall’s demolition, it is explained that he and cyborgs 001, 002, and 003, were cryogenically frozen to be experimented on later when technology had advanced more. It should be noted that 008’s exact country in Africa changes depending on the version. Some incarnations of the character don’t mention the country. The 2001 version creates a made-up West African country for him called “Mwamba”. One comic says he’s from in Côte d’Ivoire. But if we’re going by more recent incarnations, and an eventual statement by the author of the manga, 008’s country of origin is Kenya. They are cyborgs, but they still need to eat.